White southerners outside of South Carolina harbor mixed feelings about the recent secession of South Carolina from the Union. Planters support the action. Many poor white common folks, on the other hand, although largely in agreement regarding black slavery, see no benefit to themselves of their states separating from the United States. 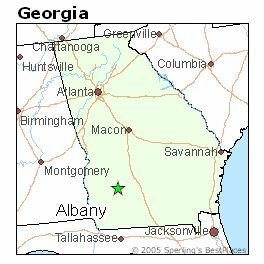 But in the south Georgia town of Albany, a municipality whose economy is dependent upon large plantations, leading citizens celebrate South Carolina’s secession from the Union. On Monday night last the people of this city, in full numbers, celebrated the secession of South Carolina, by illuminations, transparrences, music, banners, and a torchlight procession. C. H. Camfield and W. I. Vason, Esq., acted at Marshals of the occasion, and discharged their duties both efficiently and gracefully.–Short but able speeches were made at the Court House by Messrs. Clark, Mallory, Slaughter and David A. Vason. At least one of the speakers noted above is a Baptist. Judge David A. Vason serves as a trustee of Georgia Baptist’s Mercer University during the war years.